Dreamstar Talent search is back with season two and the road to discovering fresh talent commenced in Masvingo and Gweru. Powered by The Chinese Federation of Zimbabwe, two teams from the Jacaranda Culture and Media Corporation headed out in two routes to scout for talent. The first team went to Masvingo, Mutare and Marondera while the second team was in Gweru Bulawayo and Kwekwe.Today and tomorrow another team will be at Kimberly Reef Hotel in Bindura and Chinhoyi University of Technology Hotel, Chinhoyi, respectively while the other part will be holding auditions in Harare at Long Cheng Plaza. The judging panel consists of six well-known artistes in Zimbabwe and these are musicians Leonard Mapfumo, Trevor Dongo, Tererai Mugwadi, Sandra Ndebele and radio presenter Richard Kohola as well as choreographer Edrick Godzongere. Deputy chairperson of the Chinese Federation of Zimbabwe, Steve Zivanayi Zhao, said last year about 500 people came for the competition. This year’s theme still remains the same as last year’s – “Dream Harder, Fight Harder” – and Zhao asserted that this is to encourage people to follow their dreams. “We are trying to encourage young people that they should not forget they have their dreams and should fight harder to achieve them,” said Zhao. 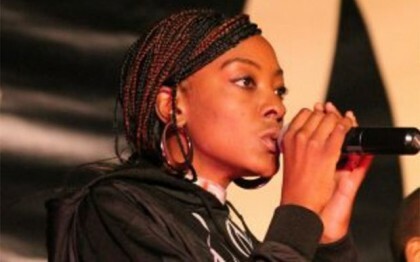 Singer Mapfumo stated that the competition is a programme that helps young people to become well established artistes and that JCMC is there to assist those who need funding. “It is very hard to be an artiste here in Zimbabwe especially when one does not have funding so this is why we are working with CFZ,” said Mapfumo. The finals will be held on December 17 at the Harare International Conference Centre. This year the winner will walk away with $3 000 with the first runner-up receiving $1 500 and the second runner-up will get $500. The Chinese Embassy has also pitched in with scholarships for those studying Masters in Business Management in China. This year will also see outstanding contestants, groups and individuals receiving full scholarships and employment opportunities. Last year’s edition saw the sensational young Beat boxer Denzel Mashonganyika, best known as “Probeatz”, crowned Dreamstar Champion.